The victory of ruling Awami League was more or less expected at the general election held on December 30, 2018. The surprise came after the election. It was the announcement of fresh faces for the newly formed cabinet. It invigorated the people with a lot of interest in the brand new entrants. The new ministers, filled with immense enthusiasm, infused new life in the government. 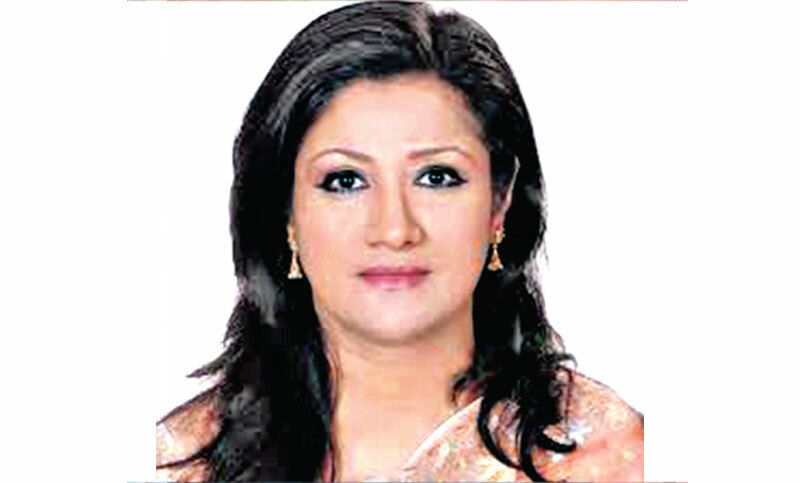 The first ever fourth-time elected PM of Bangladesh, hand-picked her new cabinet carefully selected on the basis of their loyalty, credibility, clean image, capability in respective fields and immense potential to serve the country in its progress. Once again Sheikh Hasina showed a unique capacity to captivate the masses by her prompt and interactive response to situations at hand. The master statesperson has shown her stroke of genius while forming the current cabinet. The changes in the newly formed government made the people happy as expected. Replacing the old with the new created enthusiasm among the people and the first-time ministers, creating added incentives for current ministers to be more performance-oriented to live up to expectations. This is the most discernible paradigm shift in the governance and politics of Bangladesh following the 11th general election. Dawn of a new era of democracy could start if misuse of state property, abuse of political power and intimidation of the people can be eliminated from Bangladesh. Public perception correlates periods in national governance timeline with the political leader or ruler of that era. It is universally true for most nations, not only for Bangladesh. Thus, all good and bad of the Obama era are attributed to Obama, of the Trump era to Trump, etc. ad infinitum. The burden of the leader is heavier in Bangladesh as the democratic system is still in transition prior to full implementation. For instance, in the eyes of the public, the nine year autocracy of Ershad regime is embodied in President Ershad as his era, without associating the names of many others who worked with him during that time. Therefore, until an equitable division of power among the organs of the government, technically there remains tremendous pressure on the prime minister for total governance leadership of the country. The prime minister represents the ruling party and the government, in the eyes of the masses. As long as the people look towards the prime minister for everything and she embodies both the party and the government in their eyes, she must ensure that the cabinet and party members do not tarnish her image in the eyes of the people. We hope that the newly appointed ministers will not take their position for granted and effectively share the burden of the leader of the country. The people expect competence and transparent governance in the performance of the new cabinet under the capable tutelage of the prime minister. That’s not a tall order if the performance standard is set to a new height with each successive term. Mentoring the freshmen and monitoring progress are needed for good governance and successful administration. If each and every individual within the establishment performs their designated duty sincerely, then this term of Sheikh Hasina will be the start of a new era in Bangladesh politics and historically remembered as the golden era of Bangladesh. Public opinion must be prioritised for real-time good governance in every sector. Electorates must be empowered for democracy to become a reality. The power of the people must be harnessed for the country otherwise the ballot will be worth nothing. Respecting and implementing people’s wishes is central to good governance and democracy. People’s opinion must be taken into consideration during major policy formulations. An elitist administration disconnected from the people cannot represent or serve the common man. Good governance presupposes minimum gap between people and power, having people-oriented policies and benefits reaching maximum number of the population. Good governance presupposes effective monitoring and accountability within the administration. For efficient, effective, transparent and long-term administrative good governance systemic decentralisation must be institutionalised. An environment conducive to good governance and democracy must be nurtured without disruption. To promote progress of the society at large, metamorphosis of the system towards good governance may be implemented piecemeal without neglecting any sector to halt all regression. Although good governance is necessary and beneficial to all, yet implementing it is an uphill struggle due to the establishments’ fear of change. Instead of a short timeline, long-term planning for gradual transformation may be more effective in establishing good governance by pacifying the unjustified fears of those who resist it. Sugar coating a medicine makes it more palatable. Besides, the adage slow and steady wins the race is also true. Society and people have changed a lot in the last century. In the last few decades, more dramatic changes have occurred than at any other times in the history of mankind. More people have access to education and information than ever before in the history of the world. This has revolutionised the world as we know it today. The two most vital ingredients for change in the world today - education and information - are more easily and affordably accessible through modern communication network due to technological breakthroughs. Technology has revolutionised everything from governance, business, education, entertainment, recreation, etc. by disseminating information and enabling it to reach the unreachable corners of the country. This has opened the doors of opportunities for good governance by enabling more people than ever before to receive government benefits and for the government to get direct feedback from the people. Everything that brings the government and the people close to each other facilitates good governance. The novel thing for Bangladesh are the press conferences at Ganobhaban, the official residence of the Prime Minister, in which she clarifies her position on national and international issues whenever the need arises and also informs the public about the gains from her recent overseas visits. At these meetings the prime minister answers direct questions by the press reflecting public interest on national and international matters. This is her unique contribution towards gradually paving the way for good governance and democracy in the country. It is a contemporary idea in a traditional country and can be likened to a new light breaking on the horizon.